Exactly 400 years ago in January 1618 an expedition led by the famous explorer and adventurer Sir Walter Raleigh reached the Orinoco River in modern day Venezuela to begin his search for the fabulous city of El Dorado. Raleigh had been one of Queen Elizabeth’s I’s favourite courtiers. He had been born around 1554. He had been a soldier, naval commander, Member of Parliament and explorer- he founded the first English colonies in North America. It is probably untrue that he introduced potatoes and tobacco into England, although he certainly did much to help popularise them. The charming story that he first got noticed by the Queen by laying his cloak over a puddle is also unlikely. But it was certainly the case that Elizabeth liked him and forgave his mistakes. Unfortunately it was no secret that Raleigh was hostile to the accession of James I when Elizabeth died in 1603. 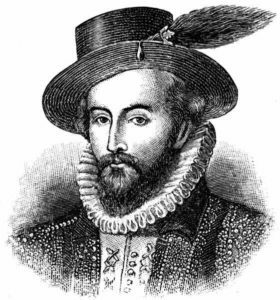 Imprisoned in the Tower of London for (allegedly) plotting to overthrow James, Raleigh passed his time writing a well-received History of the World and many poems. But he longed to resume his adventures, and was finally able to persuade James that he knew the whereabouts of the fabulous city of El Dorado in South America, and that if he was allowed to lead an expedition there, he would make James the richest king in Europe. In 1617, after 14 years of (fairly comfortable) prison, he was released for his last adventure. Unfortunately he was now 63 years old and long out of practice as an explorer. The fabulous city he was after never existed. It was a myth, but for Centuries it was believed to be true and countless expeditions were sent into the South American jungle from around 1500 until the 1920s. In the course of these expeditions, much of South America was mapped and conquered, but the object of their explorations was never found. El Dorado means “Man of Gold”. The story went as follows. Somewhere, deep in the South American jungle, was a kingdom built next to a lake. The kingdom was fabulously rich. Even the buildings and roads were made of gold and precious stones. Quite where all this wealth came from was never explained. 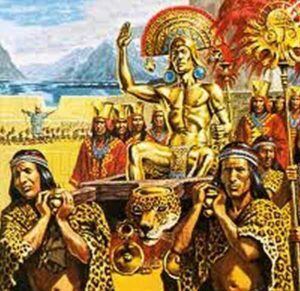 Best of all, in one version of the story, once a year the people made a life size statue of their King out of pure gold and with an elaborate ceremony, placed it in the lake. The lake, therefore, was full of golden statues just waiting to be recovered. No wonder Raleigh and King James were tempted by the prospect. Of course his expedition failed. Worse still, Raleigh’s men got into a fight with local Spanish colonists when Raleigh had solemnly promised not to disturb the Spanish, who ruled Venezuela. As a result of his failure and the unnecessary little war his men had fought, on his return James I had Raleigh executed at the Tower of London. It was a sad end to the last of Elizabeth’s famous sailors, and the execution has done James I’s reputation no favours. Yet the expeditions continued. Brazil and Venezuela were thoroughly explored for the mythical city. 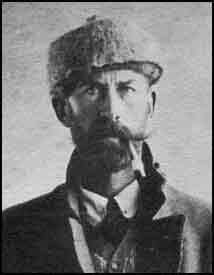 The last expedition was by a well-known English explorer, Colonel Fawcett [pictured] in 1925. He claimed- just like Raleigh- to have found an ancient map pinpointing the city’s location. He plunged into the jungle with a few companions- and vanished. His body was never found. Of course Conspiracy Theorists sometimes claim he found the city and was murdered by the inhabitants to protect their secret, and the city is still waiting to be discovered…. The myth is still with us. El Dorado has inspired songs, Music festivals, fashions, Video games, films (including the most recent Indiana Jones film), TV series, poems comics and literature. Even a cheap ice cream I remember as a child was called Eldorado. It seems we will never tire of the story of the Man of Gold. Previous articleCHRISTMAS IS FOR CATS TOO!